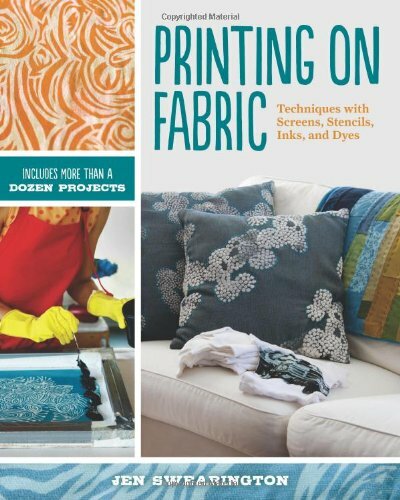 "From award-winning quilter, designer, and teacher Jen Swearington comes an essential and accessible guide to printing by hand on fabric. She starts by explaining how to translate design ideas into prints, from single motifs to repeating patterns. Jen then goes on to cover various methods of transfer: stencils, photo emulsion, dye baths, bleach, and more. With plenty of tried-and-true recipes, and a dozen teaching projects that range from garments to home décor, this beautiful book is the perfect resource for sewers, quilters, and other fabric crafters!"